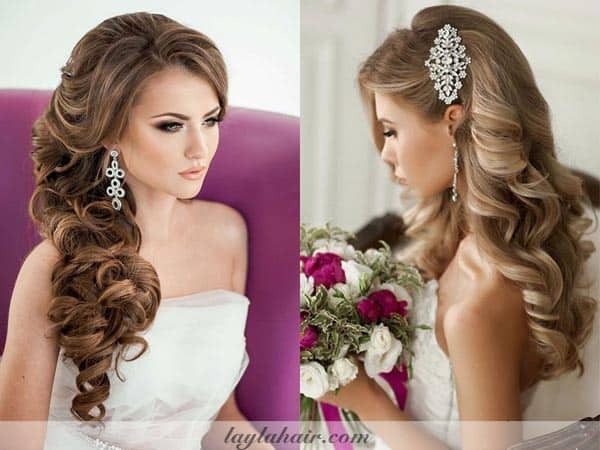 Choose Layla Hair Virgin Hair Extensions on their Wedding day? 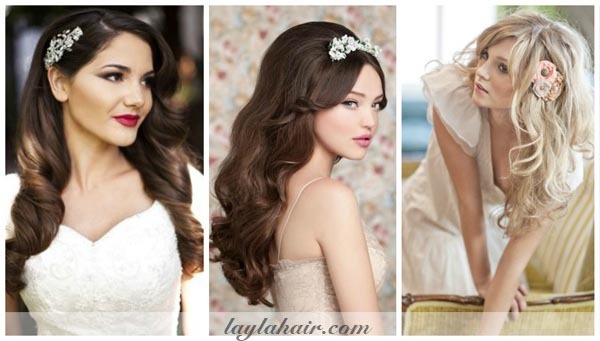 Home	→ Blog → LACE FRONTAL WIGS → Choose Layla Hair Virgin Hair Extensions on their Wedding day? You are a girl looking forward to having an unforgettable wedding ceremony? And choosing your wedding dress and your hairstyle must be the most nerve-racking part? Why don’t you have a look at Layla Hair virgin hair extensions and best hair toppers to dispel any anxiety about your appearance on the day you tie the knot? Hair extensions, hair toppers and best human hair toppers for women are becoming a more dominant trend amongst brides. While you may find the perfect bridal gown for your wedding party, your natural hair might be not long enough. Or too fine to do up your hair in a plait. Fully understanding this issue, Layla Hair wholesale virgin hair distributor offers hair extensions, women’s hairpieces for the top of the head. And best quality human hair toppers can help you to add length, volume, texture or chemical-free color. Cambodian and Vietnamese hair Extensions, as well as hair toppers for thinning hair, are a perfect choice for the bride-to-be with short and thin natural hair. Generally, brides usually crave for having a long and thick hair to capture the guests’ attention on her wedding day. Moreover, brides also want to be gorgeous to deeply impress groom on the honeymoon. For that reason, there are more and more women making a decision to wear best hair topper for thinning hair or hair extensions and wig toppers human hair from Layla Hair to fulfill those deepest wishes. There are a number of benefits that you can gain if you opt for Layla Hair Remy hair extensions, top hair wigs, and best human hair toppers. First and foremost, you can add more volume to your own hair in just a minute. If you are yearning for wearing your natural hair down. However, it is fine or lifeless at the length you have, then all you need is exactly the volume. Wearing best women’s hair toppers and clip in hair topper extensions from Layla Hair virgin hair supplier can achieve excellent thickness and a sexily tousled result. Secondly, Layla Hair wholesale hair Extensions manufacturer can supply a number of extension topper, hair topper with bangs and best hair topper for thinning hair with a variety of length. Although many women carefully pay attention to take care of their hair. It early starts to look thin with split ends and unhealthy. With Layla Hair extensions, curly hair toppers and hair toppers with clips, you can do any length you want. Due to being aware that the longer, the better, Layla Hair raw Cambodian hair wholesale vendor can collect super long hair up to 32 inch from healthy women to manufacture various hair toppers human hair, hair toppers for short hair and Remy hair extensions. And thirdly, the texture from Layla Hair company also should be taken into your account. Our hair extensions, human hair topper for thinning hair are 100% Remy virgin hair. So they can be easily curled, shampoo, trim, permed and colored like your own hair. Therefore, you can feel free to style our Remy hair extensions for your big day. Remy hair extensions and human hair toppers from Layla Hair wholesale hair extensions also help to conceal your dry hair or frizzy with healthier smooth hair. So, you are wondering what is 100% virgin human hair extension? Well-known toppers hair salon in the world such as toppers hair salon Ashland Ohio and toppers hair salon Philadelphia define 100% real human hair is hair extensions and Toppers Hair Pieces that have never been altered by any chemical process. This means Remy virgin hair from Layla Hair virgin hair company has never been dyed, colored, styled and bleached before. Additionally, Remy’s hair means that when the hair is collected. It is collected from only a virgin hair donor with long strong hair, not from multiple sources. Our skillful workers always try to keep the cuticle stay intact from root to top. In the market today, there is a lot of wholesale Indian hair asserting that their products are made from 100% human hair. But the truth is they combine human hair with synthetic hair. Layla Hair wholesale virgin hair says no with this kind of products. We commit to selling 100% Remy human hair from Vietnamese and Cambodian girls. In the old day, a long hair uses to be a traditional norm. However, having a super long hair is back, becoming a fashion hot trend and has made its way back in-vogue. A lot of superstars and celebs across the world such as Kim Kardashian, Kylie Jenner or Nicki Minaj successfully draw public attention by their long hair. Do you recognize that when they put on hair toppers with clips, their hair almost sports near floor-length? Do you admire this super long hair? Are you eager to possess a long hair like that? But the real question is how can you try out this look without waiting five years for your hair to grow out? Layla Hair Company is one of the most reputable wholesale hair extensions in Vietnam specially supplying human hair extensions. If you recently got a short haircut, chances are you won’t have hair down-to-there anytime soon. Luckily, let get some clip-in extensions or best hair topper for thinning hair from Layla Hair to have an impressive hairstyle right now.